The Williamson County Landfill and Hutto Recycling Center are owned by Williamson County and operated by Waste Management. The Williamson County Landfill is a municipal solid waste landfill operating under the strict regulations of the Texas Commission on Environmental Quality (TCEQ) and the U.S. Environmental Protection Agency (EPA). It was permitted by the TCEQ in December 1981. The county has contracted with Waste Management of Texas (Waste Management) since the mid-1980s to operate the facility. The landfill is permitted to accept non-hazardous household, commercial and special waste, as well as construction and demolition debris. The landfill does not accept regulated hazardous or radioactive waste. The facility consists of 575 permitted acres of land and currently accepts, on average, 1600 tons of municipal solid waste a day. The vast majority of waste is generated from Williamson County residents and businesses. 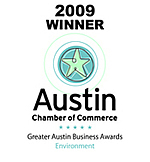 Effective June 1, 2009, Waste Management took over operations of the Hutto Recycling Center. The Recycling Center accepts, at no charge, used oil, paint, scrap metal, cardboard, newspaper and magazines, aluminum cans, plastic, batteries, light bulbs, cell phones for the Crisis Center, and electronic waste such as computers and monitors. Williamson County has seen a nearly 58 percent increase in its population since 2000. The City of Round Rock is the second-fastest growing city in the nation. According to data compiled by the TCEQ, a Texas resident generates more than 6.5 pounds of trash every day. Given Williamson County’s population, residents and businesses generate on average more than 1,700 tons of trash daily. The Williamson County Landfill is located between Hutto and Georgetown on Highway 1660. Located on the west side of 1660, the Landfill is located between Highway 79 and Highway 29. Look for the Waste Management sign and the Recycling Center building. Waste Management strives to be a good neighbor by operating its facilities in an environmentally safe manner, communicating with neighbors, participating in community events, and supporting local schools and non-profit groups. Monday- Friday: 7 a.m. - 5 p.m.